Responsive Web Design is a design and development approach in response to the increasing demands of delivering a website that is usable and looks good on every desktop and connected device. It is an approach which endeavors to create a single site where the website itself understands what device the user is using to view your website on and displays the most appropriate design layout. In simple terms, if a user is viewing your website on a desktop they are shown the desktop layout; if it’s a mobile device they are shown the mobile site. How is this different to what you have? One URL. One set of markup. One set of content. One technology platform. One deployment. This objectively is Responsive Web Design – commonly referred to as RWD. Gone are the days of m. and t. dedicated websites for the connected device. Your site is SEO friendly. There is no need for you to manage separate standalone codebases that require high-levels of management keeping functionality aligned. Separate deployment teams are also a thing of the past with centralized code and release management. Put simply a responsive approach to your web development will simplify the development and on-going management of any multi-channel site. Ultimately all of these elements will drive a lower TCO on your website – in an increasingly complex digital world this can only be a good outcome. So is RWD the industry standard for web development? Not quite! It’s never that simple with technology. An evolution has happened. New thinking on delivering the best, most optimal experience to the connected device. Industry has introduced a new approach – Adaptive Web Design – commonly referred to as RESS. So what is the new approach? With Responsive Web Design the screen layout is determined on the client side – the layout decision is made on a user’s browser, so the same file is sent to all consumers but significant parts of the site may be hidden from the user when viewing on a connected device. With Adaptive Web Design the layout is determined on the server side – layout decisions are made on the web server, not the client or browser of the device. The server detects factors like device and OS, and then sends the correct version of the site on the fly, making it quicker for the consumer to view your website. The benefits of Adaptive Web Design are summarized by faster page load, improved conversion, increased page views, reduced overhead on infrastructure, improved availability. If Responsive Web Design was the silver bullet, Adaptive Web Design is the platinum standard Brands are seeking to achieve. A level that delivers the best user experience on every device, where there are no compromises, yet all of the benefits of RWD and none of the drawbacks from previous approaches. In truth this is not an evolution of Responsive Web Design. At Open Reply we’ve taken this approach for the past 3 years as a best practice approach to mobile and tablet site implementation. It is a proven approach. 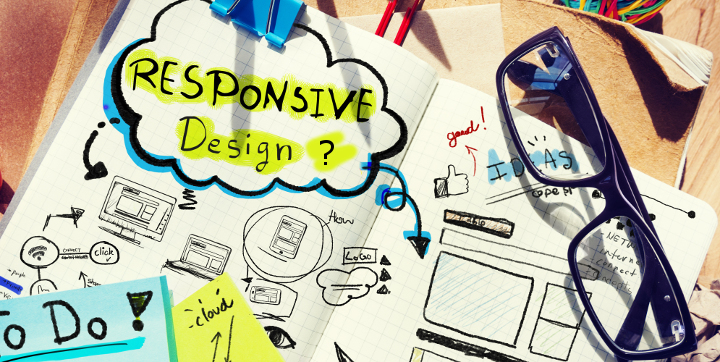 Responsive Web Design and Adaptive Web Design are both very relevant and valid approaches to delivering your website. The approach you adopt will depend on the outcomes you want to deliver. Is delivering a good experience on the connected device good enough for your business? If the level of engagement on your website is proportionately high on the connected device then you should be seriously considering Adaptive Web Design. In weighing up your decision, consider the negatives for taking an Adaptive approach over a Responsive one; there are few, yet they’re important ones. An Adaptive website may cost you more to develop and maintain – separate designs and additional skills resource are the primary considerations. From our experience, in reality this is not always the case. There is equal complexity in taking a Responsive approach especially when making an existing site responsive. The effort in enhancing existing code and regression testing your website could cost equal amounts; the overall project time is typically of equal duration. The benefits of an Adaptive over a Responsive approach therefore must be the key consideration. Adaptive websites are much better for load time performance and overall user experience. This is because adaptive delivery works by only transferring those assets (content, images, etc.) necessary for the specific device and optimising images and multimedia content on the fly to suit display resolution and size. For some businesses, a mobile user’s intent is to engage with the business in a very specific way that is different from their behaviour on a desktop website. The experience on an adaptive site can be finely tuned to the device, so that it is intuitive, super quick and leverages things like location, voice and HTML5. If your site is eCommerce this is a key consideration; user journeys, not just the interface of your site can be optimized; checkout steps can be reduced in steps in order to deliver the best experience on the connected device, a solution to a known blocker in the purchasing funnel. Developers don’t have to modify or even worse go back to the drawing board and re-code the existing website. This is important because many websites are complex, with a lot of legacy code built up over time, and throwing away all the effort that has gone into it is generally not an option. Moreover you do not need to go back and fully regression test your desktop site; typically this would be a massive undertaking especially in an eCommerce context. Adaptive solutions use more mature server side device detection over client-side media queries that Responsive sites rely on. The advantage to your website is ensuring greater reach and support of some older smartphones and non- smartphones. If your target audience is in developing markets and is important to your business this is the most inclusive globally robust approach. Optimised content for the connected device can be a major benefit for your website delivering images, copy, banners etc. that load quickly and are easily viewable on a mobile device. This is not only a performance boost to the your website itself but also improves your SEO performance; this is an advantage achievable through an Adaptive approach. If you’ve elements such as tabular layouts on your site taking an Adaptive approach will allow you to more easily optimize these. Although this discussion paper is focused on web design the world of mobile is converging. Creating a hybrid app, a native mobile app that encapsulates a mobile site is becoming more commonplace enabling Brands speed to market whilst testing the appetite of its consumer for mobile apps. The effectiveness of an Adaptive site in this context is far greater than a Responsive one, whereby the client-side media queries of a responsive site used to identify a requesting device are ineffective. Is the mobile and connected device experience fundamental to the Brand experience of your customers? Is engagement from the connected device above 40% of your web traffic? Is your site measured by its conversion rate? Does your website have heavily weighted media content? Does your site have complex user journeys? Does your site consume 3rd party content – banner ads / social widgets etc? Do you have budget to hire (internal / external) resource to support the mobile site? If you are answering ‘yes’ to these questions you must be now considering taking an Adaptive Web Design approach. If you believe you cannot afford the most premium website development option available (perhaps coupled with a RWD approach) simultaneously think about whether you cannot afford not to invest in what is today the fastest growing and most important consumer engagement point. Can you justify the return on the increased investment required in order to differentiate your site against your competitors with a device orientated quick solution? We are no longer in a world where designers can design for a single layout, a single device. Digital is complex, fragmented and user expectation exponentially magnified by an always-connected world. We have to begin to understand how our sites are being used, and the process around prioritising our content to suit the situation and context of the user in order to deliver the best and most relevant experience. Responsive web design can bring many benefits toward achieving this however it has its limits when it comes to mobile and therefore before embarking all out on an RWD approach consider the Adaptive Web Design approach. A Responsive site will achieve a good outcome for your business, but is a good outcome good enough for you to be better than your competitor. Mobile is fundamental to any multi-channel solution and will be where key ground will be won and lost with your competitors. An Responsive will not be as fast or as good looking across all devices as something crafted specifically for mobile and a wider range of devices. With an Adaptive site there is no compromise, it is tailored to the connected device, it delivers an optimised experience to everyone without exclusion and will enable you to maximise your investment on digital. Web design is a business of balancing of cost, value and effectiveness. As the relentless pace of the connected device evolution continues, taking a Adaptive approach and fully supporting mobile is an investment but it will deliver on-going measurable value.